Today, I want to share with you all my April Topbox unboxing and thoughts!!! My current subscription status: Month-to-month subscription as of April 2014. Cost $12 per month, shipping included. Tax additional. Ship to Canada only. Topbox is a monthly beauty subscription box service that delivers 4-5 deluxe beauty samples right to your door. They currently ship to Canada only. What is the cost for Topbox? $12 dollars per month (Shipping included. Tax extra). Subscriptions can be cancelled at anytime! Please visit their website: http://topbox.ca/ for more information. How to signup for Topbox? ♥ After unboxing Topbox, below is what I had received in the month of April!!!! 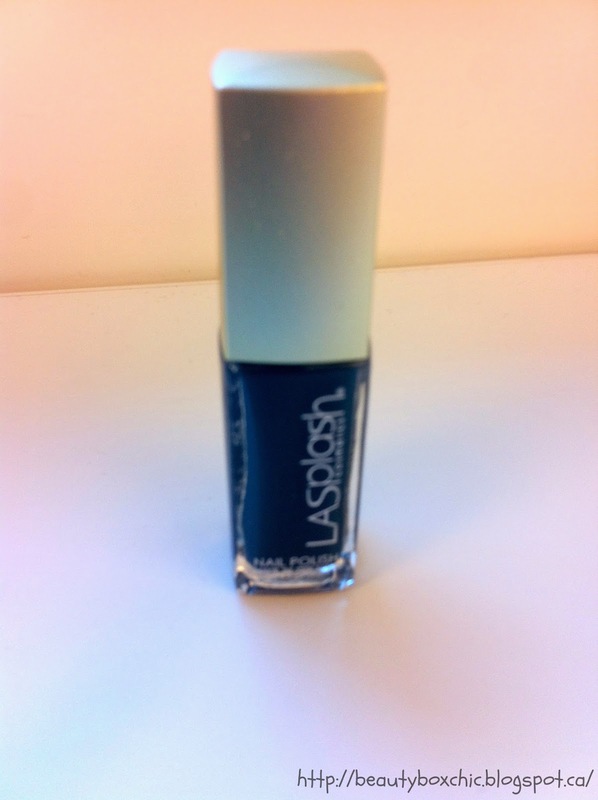 I never heard of this nail polish brand (La Splash) until I received it in my April Topbox, this dark blue color is not something i have, so is nice to get this color, I can't wait to try this out!!! However,this color feel more like a fall or winter color, for summer or spring I prefer using a lighter colors such as pink and light purple. 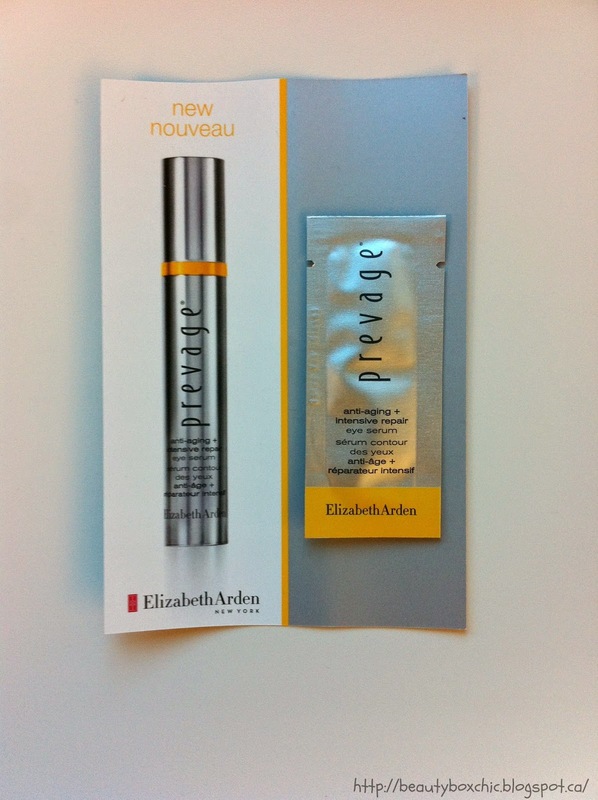 I never have the chance to use much of Elizabeth Arden products, it is very nice they give me a sample of the repair eye serum. I can't believe this cost over $20 dollars for a 2ml sample size package!! This eye secure claims to helps "support skin's natural collagen matrix for a firmer look, it reduces the appearance of crepy lids and dark circles, eye will look more radiant and younger with continued use" Hope this eye serum is as good as is claimed to be!!! I never heard of this brand until I received it in my April Topbox, I have prone sensitive skin so I am not sure if I can used this soup bar to cleanse my face. However, after reading the ingredients in this bar, it does look really good and make me want to try it out!! It made with four different type of oils consist of: coconut oil, olive oil, castor oil and palm oil!!! Not only this, it is a natural soup bar that claims to help with even skin tone. This moisturizer look really good!! I never try this brand before either!!! It made with white tea, blue lotus and French marine plants!!! 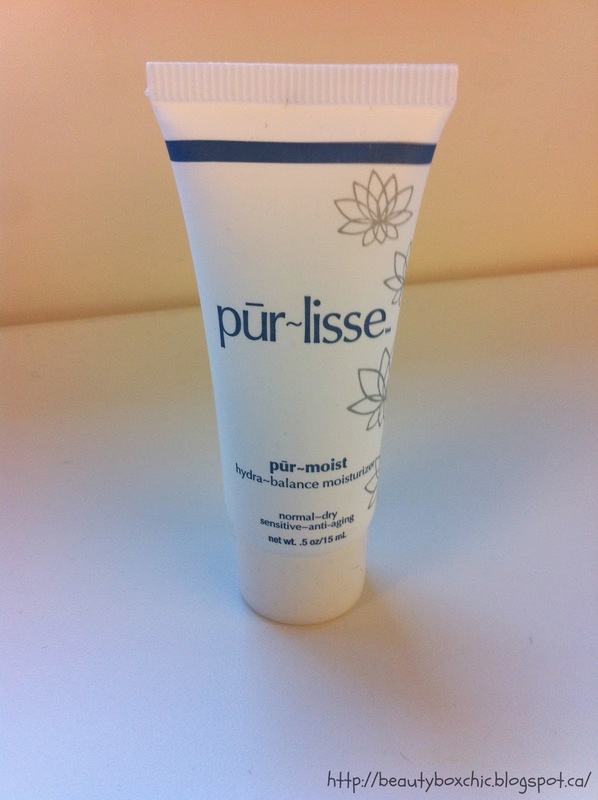 This moisturizer claim to help with fine lines and winkles while provide extra boost of hydration to the skin!!! This is my third beautybox from Topbox, my experience with Topbox been great so far, however April beautybox was just alright for me, this is not my favorite Topbox compare to the other two boxes I received previously. 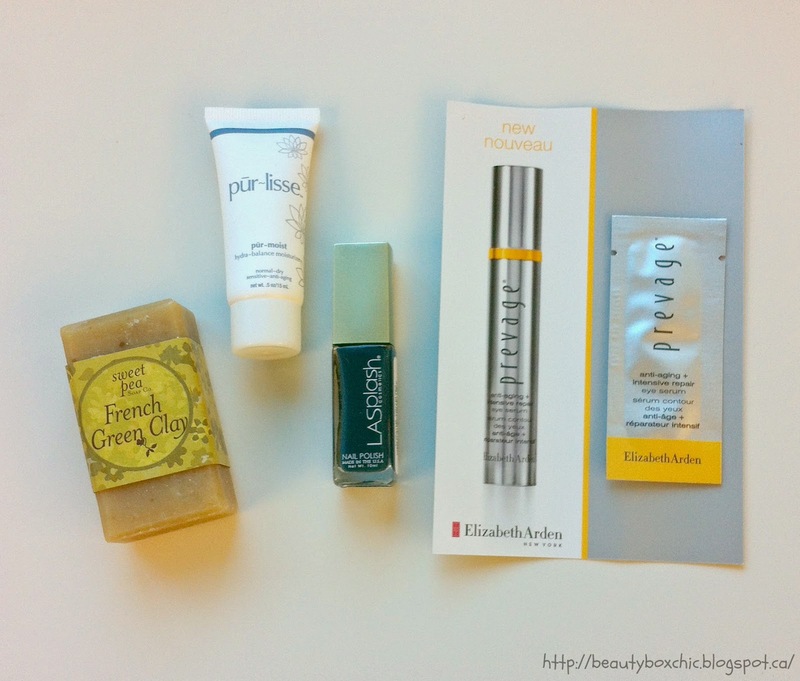 One thing I do like about this Topbox is that all the brands I received is new to me! I never try these products before so is nice to try something new!! I really miss you all and will definitely spend more time on my blog these next few months until I go back to school!!! I am happy to be back and I have many upcoming blogposts and products I want to share with all of you!!! I am also planning to work on my blog layout, so please stay-tune!!! 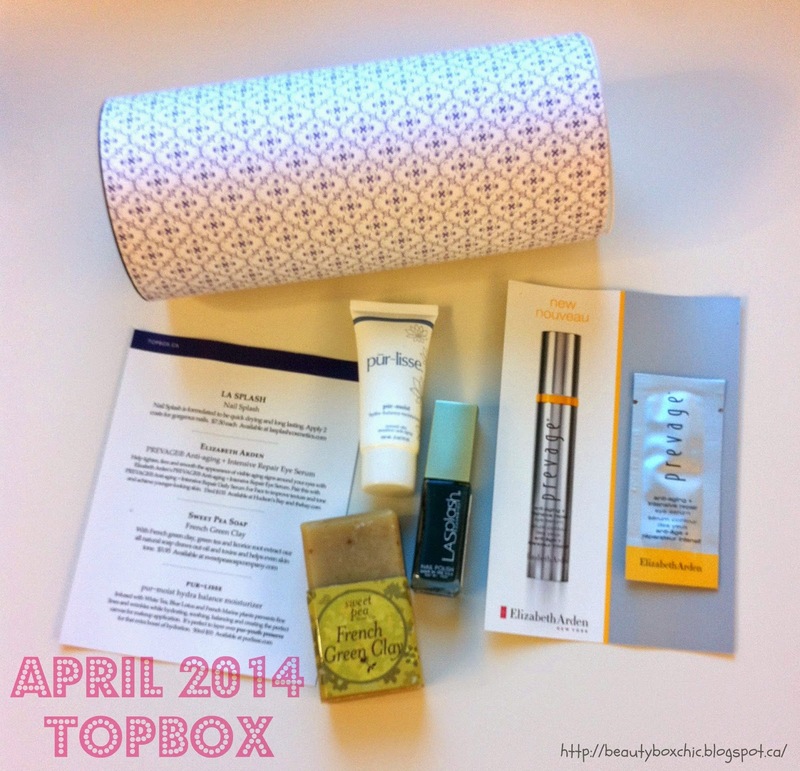 By the way, What do you think about the AprilTopbox ? Would you give it a try? 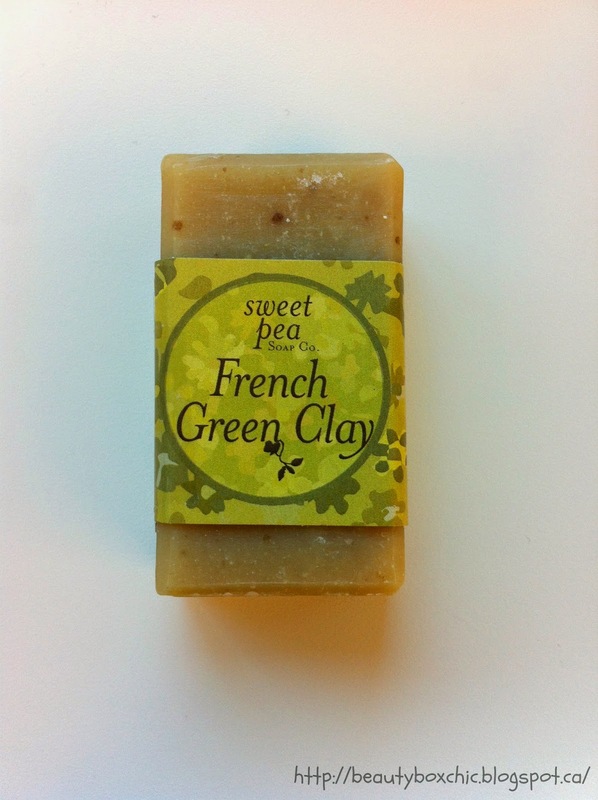 the sweet pea soap bar looks like food to me haha :D welcome back to the blogging world janet :) im also not as present as i was before, so when i have time to spend in front of my laptop i do a lot of back readings, like today. thats why im glad to see you back and blogging again. Thank you Genzel, happy to be back :) I love this subscription box too!! !